First Listen: Apparat, 'The Devil's Walk' The German electronic producer finds a unique realm of somber, majestic music on his fourth album. 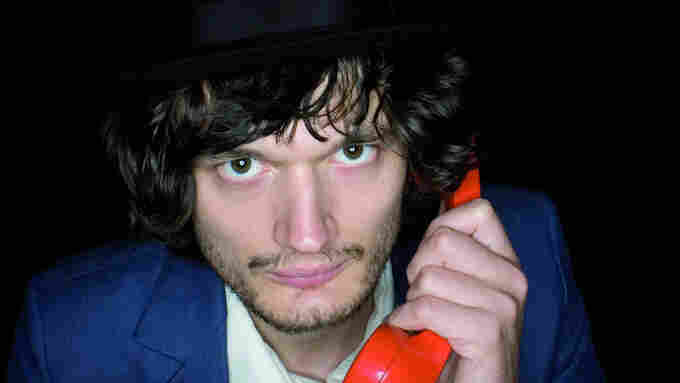 Apparat's new album, The Devil's Walk, comes out Sept. 27. Many electronic musicians cross over into mainstream pop and rock, but Sascha Ring — a.k.a. Apparat — crafts his own unique style of somber yet majestic music. With his latest record, the German producer may find himself reaching a broader audience than ever. The Devil's Walk, Apparat's fourth album, creates a soundscape that's subtle and melancholy, yet also uplifting and cinematic. The Devil's Walk, out Sept. 27, began during a lengthy trip Apparat took in 2010 to Mexico, where he worked in a makeshift studio in the town of Sayulita. The album became fully realized later in recording studios located in Europe. The cross-continental journey and combination of cultures helped to define and inspire the right blend of cold electronics with warm strings and keys, along with a dreamlike vocal that drifts in throughout. For The Devil's Walk, Apparat enlisted the help of others to help fully realize the material. Joshua Eustis (of Telafon Tel Aviv) and friend Fredo Noguerira were brought in to contribute, yet at a certain point, the project hit a lull. The fire was rekindled later in Europe with the help of yet another contributor, Patrick "Nackt" Christensen., who re-inspired Apparat and helped craft the finished product. The influence of late, quiet nights in a simple tropical atmosphere can be heard, as can the exhilaration Apparat rediscovered after time away from these songs. The album's soft and sad opening track, the poignant "Sweet Unrest," could have easily found a home in Terrence Malick's latest film, The Tree of Life; the song's title describes exactly what's to come from the album's delicate, blissed-out instrumentals. "Black Water" provides another highlight: A mind-bending song, it exudes the same expressive force that Moby and M83 have also mastered, as well as a moody richness that The Cure has specialized in crafting. Apparat has become adept at taking the strongest elements of electronic music and transforming them into a human sound that captivates listeners on multiple levels — the most important of which is emotional. That combination helps make The Devil's Walk one of 2011's most moving and inspired records.